If there ever was a collection of paper that was right up my alley, it would be Seen and Noted by Pebbles. This was the collection that the The Memory Nest Design Team was working with this week and I absolutely loved every minute I spent playing with this bright, cheerful paper. 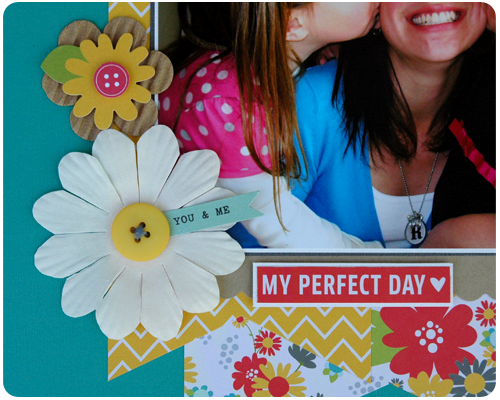 The picture on this layout was taken on Mother's Day. 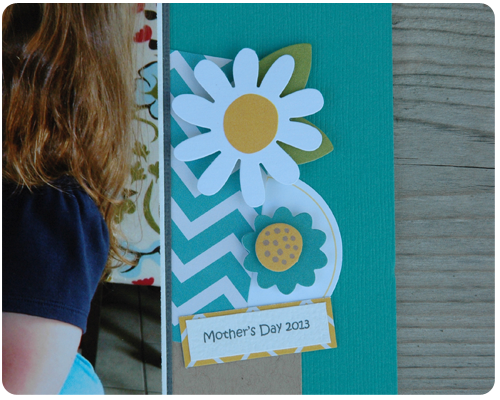 I should tell you that I purposely dressed myself and the girls so that pictures of us would coordinate well with this paper line because I knew I wanted to use it for a Mother's Day layout - if that is not dedication to the craft then I don't know what is. The coordinating stickers in this line are just amazing. 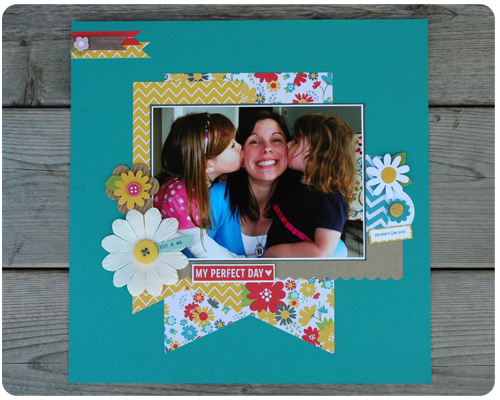 They come already attached to foam squares, giving them a little dimension when they are attached to the page; I love this because I use foam squares all the time to add dimension to my layouts and cards. The phrase - 'My Perfect Day' - was written on the small strip at the bottom of the patterned paper, alongside the UPC code. It was the perfect title for this page and fit nicely into this large cluster of embellishments. Once my layout was completed, I could not stop. I needed to use up as many of the adorable stickers, and layer as much as the patterned paper as possible. So I made these three cards. 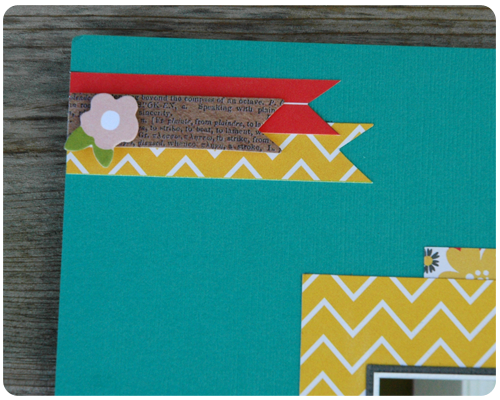 This paper line is awesome - bright, cheerful, colorful! 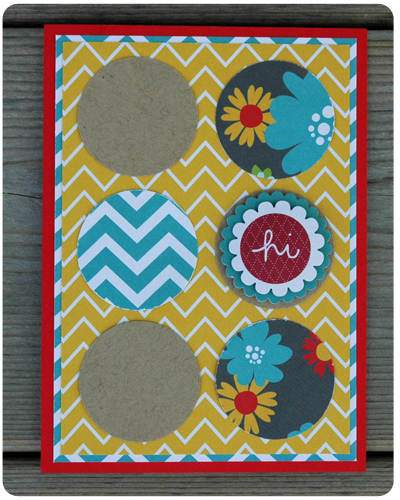 Perfect for layouts and cards. 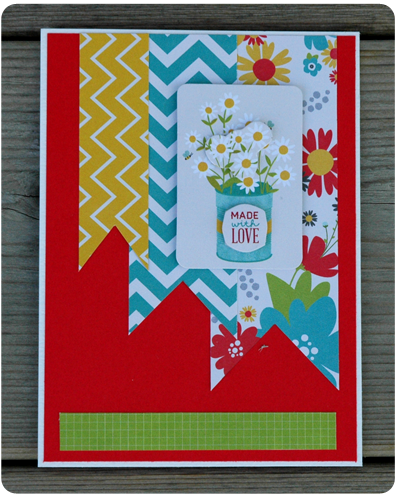 And a little goes a long way - I made this one layout and these three cards from two pieces of patterned paper (double sided) and one package of 3D stickers, and I still have a few supplies leftover. 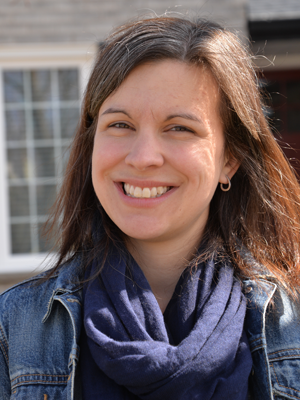 Today is Design Team Tuesday over at The Memory Nest and I invite you to head on over there to see the colorful layouts created by the other ladies on the team. Love your layout and cards. I may be scraplifting some of those! Thanks so much Jessica. I am glad I have given you some inspiration to create. Thanks for reading. Thanks Becky. Awesome paper like this must be made into as many things as possible.